In our own Federation we will have Catholic and Protestant, English, French, Irish and Scotch, and each by his efforts and his success will increase the prosperity and glory of the new Confederacy. . . . I view the diversity of races in British North America in this way: we are of different races, not for the purpose of warring against each other, but in order to compete and emulate for the general good. Everyone acknowledges that Canadian Confederation has been a great success, and those who had the greatest doubts about the venture are now ready to confess that the plan was a wise one. Let’s start with one of the most famous images in Canadian history: the photograph taken in September 1864 of the Fathers of Confederation on the steps of the lieutenant-governor’s mansion in Charlottetown, Prince Edward Island. If I didn’t know what this old-fashioned picture recorded, I’d give it barely a glance. Our public institutions are full of similar compositions—a bunch of men standing in front of a sturdy classical building. They could be school trustees or railway engineers. It is an excruciatingly exclusive image: a blur of white-haired, bearded patriarchy, with not a woman, non-white person, or Indigenous Canadian in sight. That was official Canada 150 years ago. But I do know that this particular photo records a momentous event. Those men had just invented a new country called the Dominion of Canada. There were still plenty of details to work out, and it would be another thirty months before the British North America Act would be signed on the other side of the Atlantic. Yet these twenty-three sombrely clad lawyers, farmers, and merchants, from five British colonies, had listened carefully to each other and reached consensus. No wonder they decided it called for a commemorative picture. Today, there would be lights, video cameras, and reporters on the spot. Back then, in the cozy little island capital, there was one local photographer with a cumbersome camera that laboriously captured images on glass plates. When I look more closely, I see interesting dynamics in this image. Most of those posed on the porch—provincial premiers, cabinet members, opposition leaders—radiate the self-assurance of powerful men. However, at least a third of them are looking not at the camera but at the figure who is dead centre in the group: John A. Macdonald, who had just used his extraordinary negotiating skills to broker an agreement. The man who would now become the first prime minister of post-Confederation Canada draws all attention to himself as he sprawls on the steps in the nonchalant pose of a matinee idol. Very clever, John A. However, my eye is also caught by another figure, standing to Macdonald’s right and sporting a stylish tailcoat, a well-groomed shock of white hair, and an air of private triumph. This is George-Étienne Cartier. “As bold as a lion” is how Macdonald himself described his elegant French-Canadian colleague. Macdonald even admitted, “But for him Confederation could not have been carried.”1 Without question, John A. Macdonald had the original vision that a country like Canada could exist. But it was the brains and quiet persistence of George-Étienne Cartier that turned the vision into reality. Astute and elegant, George-Étienne Cartier ensured that French-Canadian interests would be protected within the new Dominion. George-Étienne Cartier, a shrewd Montreal lawyer, is the man we have to thank for making Canada a federation. Unlike the “Mother Country,” as his contemporaries called Great Britain, the Dominion of Canada would not be a unitary state with one central government. Instead, the new Dominion would be designed with two levels of government: a federal government in Ottawa, to handle matters that affected the whole federation (relations with Westminster, interprovincial railways, and trade), and a more local government in each province that joined up. Unlike British counties, French départements, or even American states in the late nineteenth century, Canadian provinces would have an extraordinary degree of control over their own affairs. By pushing such a federal system, Cartier ensured that Quebec would join the Dominion. French-speaking Canadians living in the new province of Quebec were reassured that they would run everything that was essential to the survival of their culture. His major challenge was to find the right partner to help him achieve his goal. He found such a partner in Macdonald, the charismatic lawyer from Kingston, Ontario. At Charlottetown, Cartier’s idea was the most crucial component of Macdonald’s vision. One hundred and fifty years later, the federal system that Cartier envisaged is the basic building block of Canada’s uniqueness. It is Cartier that we can thank for developing the government structure that in our country’s early years allowed two very different groups of immigrants—the French who had started settling the St. Lawrence Valley three centuries earlier, and successive waves of British who had scattered elsewhere, particularly after the mid-eighteenth century—to live alongside each other. That same federal structure has helped Canada absorb endless new stresses: dramatic expansion across the continent, a troubled relationship with Indigenous peoples, demands from regions that felt ignored, shifting economic patterns, surges of immigrants from every corner of the globe. In any discussion of what has shaped the character of our country—not just the structure of Canadian government, but the pluralism and tolerance for difference that are still hallmarks of Canada—Cartier’s contribution forms the bedrock. That is why I decided that his vision for Canada should kick off my exploration of this country’s enduring potential. Over the course of the past century and a half, Cartier’s reputation has been overshadowed by that of John A. Macdonald, “the man who made us,” according to Macdonald’s biographer Richard Gwyn. When Cartier is remembered at all, it is as Macdonald’s sidekick. In my hometown, Ottawa, we have the Macdonald-Cartier International Airport and the Macdonald-Cartier Bridge. In George-Étienne Cartier’s own province of Quebec, nationalists have tried to eradicate him from collective memory. But if he shaped Canada, what shaped George-Étienne Cartier? Who was this enigmatic figure in the Confederation photograph, who started his adult life as a rebel and ended it as a British baronet with a valet, a country estate, and a coat of arms? Quebec’s Richelieu River is modest compared with the great rivers flowing through the Canadian landscape, such as the St. Lawrence, the Fraser, and the Mackenzie. The Richelieu, rarely more than half a kilometre wide and not particularly deep or fast-flowing, reminds me of a European waterway, with oaks and weeping willows along its banks and plenty of evidence of human habitation. These days, heavy traffic flows in and out of nearby Montreal along autoroutes, leaving the river to pleasure boats and fishing enthusiasts. From the water, I glimpse the silver steeples of churches and houses with the steeply sloping roofs that characterize Quebec rural architecture. Behind them stretch fields planted with corn and soybeans. George-Étienne Cartier was born on the fertile banks of this river on September 6, 1814, in the village of Saint-Antoine-sur-Richelieu. Today, a bronze bust of him stands here on a granite plinth, surrounded by red impatiens flowers; the inscription reads, “Cartier: Son Village Natale, La Patrie Reconnaissante.” The bust features mutton chop whiskers and a truculent expression—every inch a senior statesman. But when he was growing up here, the community knew him first as a rambunctious little boy, and then as a young man with attitude. Only his family’s status protected him from several cuffs on the ear. George-Étienne was the seventh of eight children of a grain merchant, who claimed (on scant evidence) that he was a descendant of the Jacques Cartier, the great French navigator who in 1534 became the first European to map the Gulf of St. Lawrence. George-Étienne’s family was probably not quite so venerable, but it undoubtedly had deep roots in North American soil: his great-grandfather, Jacques Cartier I, left Europe for Quebec City, New France’s most important city, in 1735. The Cartiers built up a lucrative grain business, then moved it closer to the rapidly expanding commercial city of Montreal. Their life in the bucolic Richelieu Valley was comfortable and privileged. Compared with most of their Saint-Antoine neighbours—farmers and tradespeople—the Cartiers were important and worldly. They lived like country squires in a large stone house, and when guests arrived, the brandy flowed and the tables groaned. Youngsters raised in such comfortable circumstances acquire a sense of entitlement. Known as the House of the Seven Chimneys, the Cartier mansion was a landmark for boatmen on the nearby Richelieu River and had its own private wharf. But George-Étienne would also have been aware of the battle-scarred history of his region. Originating in Lake Champlain and flowing north into the St. Lawrence River, the Richelieu River had been an important trade route for centuries. Before Europeans arrived, Haudenosaunee (Iroquois), Wyandot (Huron), and Algonquin peoples regularly paddled along its length. Because the river teemed with bass, sturgeon, and pike, they named it Masoliantekw, which means “water where there is plenty of food” in the local Abenaki tongue. Once French and English traders showed their faces, it also brimmed with conflict. The river’s strategic position between New France and New England meant that it was frequently the site of murderous clashes between French and Haudenosaunee, and French and English. The scuffles subsided only after the 1759 defeat by the British of the Canadiens (as inhabitants of New France were known) on the Plains of Abraham. When George-Étienne and his brothers paddled upriver, they saw the ruins of several forts, both French and English, scattered among the willow trees and prosperous farming communities. However, they rarely caught sight of the region’s Indigenous inhabitants. Depleted by disease and hunger, most had retreated west. Local Mohawks kept to themselves in their communities at Kanesatake, on the Ottawa River, and Kahnawake, on the south shore of the St. Lawrence opposite Montreal. For the small boy, the solid stone house in Saint-Antoine-sur-Richelieu and his extensive network of uncles and cousins were his whole world. There were plenty of diversions for a wealthy family like the Cartiers—dances and balls in each other’s mansions, contacts with fellow merchants in Boston and New England. However, Lower Canada (as Quebec was then known) was a small enclave in a larger backwater far from any power centres. In the year of his birth, the combined population (not including Indigenous people) of all the British colonies on the North American mainland was only about five hundred thousand, of whom perhaps three hundred thousand were French-speaking. Unlike the Cartiers, most colonists spent their days tilling the land, logging the forests, fishing the rivers and oceans, or shipping furs, grain, and logs; Montreal, which was now the largest city in British North America, had only twenty thousand residents. Compared with the booming republic to the south, with eight million citizens and big ambitions, British North America was poor, backward, and isolated. Only Halifax in Nova Scotia, with its British military base, and Quebec City, with its wealthy Roman Catholic seminaries and cathedral-basilica, offered any competition to cities like Boston or Philadelphia. Nevertheless, Lower Canada was rich in tradition: as well as a larger population, it boasted more history and culture, and a higher birth rate, than any of the other impoverished British colonies—Nova Scotia, Prince Edward Island, New Brunswick, Newfoundland, and Upper Canada (today’s Ontario). George-Étienne’s father, Jacques Cartier III, filled his son with pride in his people. Although he named the son born in 1814 George after the reigning British monarch, King George III (on the birth certificate, the name is spelled in the French style, Georges), he loved to belt out voyageur paddle songs and point to the sturdy survival of Lower Canada’s habitants. And there was no shortage of village elders who reminisced about the old days, when their region was part of New France, owing allegiance to Paris and enjoying wine exported from French ports such as Le Havre and La Rochelle. To a small boy, the rhythms of Canadien rural life must have seemed timeless. However, dramatic changes lay just over the horizon. Imperial power brokers in Westminster were losing interest in British North America. In their view, the North American colony was important only as a source of masts for the Royal Navy and as a dumping ground for demobilized soldiers and destitute Irish peasants. As the costs of maintaining troops and separate colonial governments in each colony rose, enthusiasm for these distant, frozen lands fell. When he was ten years old, Cartier’s life changed abruptly: he was shipped off to the care of the most powerful institution in Lower Canada, the Roman Catholic Church. He was too young to recognize it at the time, but his political indoctrination had begun. George-Étienne and his brother Damien were enrolled at the Collège de Montréal, run by the Sulpician Fathers, the dominant religious order in Quebec after the Jesuits were expelled in 1762. The college was the pre-eminent seat of learning for French-speaking boys in Lower Canada. Although it has changed dramatically since George-Étienne entered its doors, it is still considered one of the best high schools in Montreal. The two Cartier youngsters would spend the next six years within the college’s forbidding stone walls and tightly disciplined routines. Their teachers, all born and trained in France, gave them a superb classical education in language, science, religion, and music. The college bridged the two solitudes of Quebec society, since it catered to the sons of the English-speaking as well as French-speaking merchant class. As a result, Cartier emerged from his years there with a strong sense of linguistic duality as well as a sturdy old boys’ network. He also absorbed a firm commitment to the idea of “survivance de la race”: the Canadiens must fight to protect their language, their culture, and their church. They must resist any attempt to drown them in a sea of Protestant English. That lesson became the lodestar of George-Étienne’s approach to public life. It would, in turn, shape the country that we live in today. If I had time-travelled back to one of those smoky taverns, would I have picked George-Étienne Cartier as the man to watch? Was he obviously a leader who would influence the emergence of British North America as it cut most of its ties with Westminster? No. At age twenty he was unimpressive. About five feet six inches tall and oddly shaped, with an enormous head and short limbs, he was awkward, belligerent, and prone to interrupting others. Everybody acknowledged that he was clever and likely to go places; a fastidious dresser (in later life he favoured striped pants and a silk hat), he kept his thick dark hair neatly cut and brushed straight back from his wide brow. But he had a tiresome manner and a screechy voice. Others in the room had more gravitas. However, George-Étienne Cartier’s fundamental commitment to his fellow Canadiens was already established, and Confederation was still a long way down the road. He would spend the next few years deciding how best to protect the interests of French-speaking Canadians. He would learn to curb his tongue and his tendency to annoy people. The stirrings of nationalism in Lower Canada were as intoxicating to French-speaking romantics in Cartier’s day as they would be to Quebecers in the second half of the twentieth century. George-Étienne Cartier was soon branded a radical because he was active in the Patriote movement. The fiery Patriotes demanded that the emerging French-speaking elite should replace the autocratic Château Clique. At this stage, young Cartier’s most notable contribution to the noisy Patriote meetings in Montreal taverns was the chest-thumping patriotic songs he composed, with titles like “O Canada, Mon Pays, Mes Amours” and “Avant Tout Je Suis Canadien.” The name “Canada,” at this point in our history, referred only to present-day Quebec. Resentment against unelected British officials exploded in both Upper and Lower Canada in the autumn of 1837. In Lower Canada, several hundred ardent Patriotes organized themselves into a paramilitary force they called Fils de la Liberté, which came to blows with British troops in the Richelieu Valley, Cartier’s home turf. In Upper Canada, the red-haired, reckless William Lyon Mackenzie led a march of rebels down Yonge Street. Both uprisings were summarily defeated. George-Étienne Cartier had participated in several of the Richelieu Valley clashes. Learning that a price had been put on his head, he went into hiding near Saint-Antoine. Six of his fellow Patriotes were hanged; others were exiled to Bermuda or Australia. Soon there were rumours that Cartier was dead, and an obituary in a Quebec City paper mourned the loss of “a young man endowed in the highest degree with qualities of heart and mind and before whom a brilliant career opened.”3 In fact, he had fled to Vermont to avoid capture by British troops. Cartier quietly reappeared in Montreal in the summer of 1838. From now on, the clever young lawyer focused on two goals. The first was to achieve non-violent change that would give Lower Canada a degree of self-government. The second was to become a successful corporate lawyer. The obstacles to the first goal multiplied immediately after the 1837 uprising. On the advice of Lord Durham, a British grandee sent across the Atlantic to quell colonial unrest, the Westminster government reorganized the political map. It merged the provinces of Upper Canada and Lower Canada into one colony with a single legislative assembly serving both English- and French-speaking Canadians. The intent was clearly to assimilate the French. For the next few years, Cartier kept his head down and concentrated on his second goal: getting rich. He had his grandfather’s savvy mercantile instincts; he could see that if Montreal was going to remain the most important city in British North America, it needed to become a hub in the rapidly spreading network of railways. So he acquired property and promoted railways. As early as 1845, he invested in the railroad that would link Montreal to the ice-free harbour of Portland, Maine, to ensure that western produce would be routed through Montreal rather than an American hub. When the railroad was bought out by the Grand Trunk Railway, he became the GTR’s solicitor. His stocky figure might be seen swaggering around railyards in Point St. Charles to inspect newly laid tracks and freight cars loaded with grain. At the same time, he made it his business to become tight with English-speaking entrepreneurs like Alexander Galt and J. J. C. Abbott, and he was welcomed at their social events such as the Saint James’s Club ball. (However, I don’t think he went overboard with eagerness to merge into the Scots elite: there is no evidence that he sported a kilt at the fancy St. Andrew’s Ball.) Hugh Allan, the Scots shipping magnate and banker, began to use the services of this hard-nosed young French lawyer as a fixer, a lobbyist—the francophone lawyer with influence in both church and government circles. But Cartier also kept close ties with the Roman Catholic Church: he was the Sulpicians’ lawyer too. Despite his growing respectability, Cartier remained in constant communication with his former Patriote comrades, especially Louis-Hippolyte LaFontaine, another Patriote turned moderate reformer. LaFontaine had struck up a powerful alliance with the Upper Canadian reformer Robert Baldwin; Cartier became “his propagandist and arm-twister.”5 In 1848, thirty-four-year-old Cartier yielded to pressure from his former comrades and took the plunge into politics. He ran for the Legislative Assembly of the united Province of Canada in a by-election in the Richelieu Valley riding of Verchères, which included his hometown of Saint-Antoine. He took his seat under the banner of the Liberal-Reformers—a Lower Canada coalition that despite its name was in fact conservative and was known as les bleus. The bleus would demonstrate that Lower Canada (now officially called Canada East) could enjoy the benefits of commerce, education, and agricultural reform without threatening the pillars of French-Canadian society: the Roman Catholic Church, the Montreal business community, and the habitants’ almost spiritual connection with the land. Even the most impulsive firebrands simmer down with time, especially if they find other ways to reach their goals. Over the next few years, the honourable member for Verchères became an agile player in a complicated bilingual political arena. He travelled regularly to Toronto and Kingston and mingled comfortably with English Canadians who never set foot in Montreal. He was impatient, full of himself, and short on charisma, but people listened to him because he had a string of successes to his name. Thanks to his efforts, the educational and judicial systems of Canada East were strengthened, and all its residents, whatever language they spoke, were subject to the French Civil Code. Soon Cartier was acknowledged as a leader of Canada East’s bleus. At the same time, Cartier pursued his business interests. He manoeuvred himself into the chair of the legislature’s all-important Railway Committee while continuing to act on behalf of railway companies. (Before the adage “No conflict, no interest” was coined, he was a skilled practitioner.) And he learned to hold his tongue when necessary. The leading Upper Canadian Reform politician George Brown, publisher of the Toronto Globe, repeatedly mouthed off against Roman Catholic Canadiens, and he allowed his newspaper to rant, “Rome is blindness. Rome is intolerance. Rome is despotism.”6 Cartier did not react in public. Most important, Cartier struck up a partnership that would become, in the words of his biographer Alastair Sweeny, “the most significant relationship in Canadian history.”7 In 1855, he had joined a Conservative cabinet that also included John A. Macdonald, the Scots-born Tory lawyer from Kingston, who was English Canada’s craftiest politician. Each man swiftly recognized a kindred spirit; together, they could help each other achieve not only personal ambitions but also an incredibly bold long-term dream: a viable state in the northern half of the continent. The partnership of John A. Macdonald and George-Étienne Cartier proved sufficiently sturdy to overcome language, religious, and legal tensions. Such a dream seemed ridiculous to many of their contemporaries. Canada was divided between French and English, Catholics and Protestants, Maritimers and central Canadians (the continent’s Indigenous inhabitants did not even feature in the debate). How could this strange agglomeration of peoples ever be fashioned into a nation? Yet Cartier and Macdonald pursued the dream because, for different reasons, neither of them liked the alternatives. What a pair they were: the wild-haired, charming Scots pragmatist, always ready with a quip or a compliment, and the dapper, abrasive French Canadian who worked fourteen hours a day and was a bit of an autocrat. They had much in common: they were both tough-minded operators who preferred men’s company to women’s, who often drank to excess (although Cartier rarely went on binges), and who enjoyed each other’s sense of humour. And they were both consummate politicians, with complementary skills. In the Legislative Assembly, Cartier would labour until after midnight to assemble the facts and claims required to push an argument, then hammer it home in his grating, high-pitched voice. A critic described his speeches as “horrible, incomprehensible, untranslatable and unrepeatable.”8 One lasted for fourteen hours: seven hours in English, followed by seven hours in French. Macdonald would rely on Cartier’s careful preparations, but then he would take over and prove himself the ultimate people manager, cajoling colleagues with compelling reasons or quiet bribes. The Cartier-Macdonald alliance was consummated when the two became joint premiers in 1857. But even their sturdy partnership could not save the uncomfortable amalgam of the future Ontario and Quebec from a roller coaster of legislative crises: six different ministries were upended in the six years leading up to 1864. How could the British colony achieve the social stability and economic expansion it desperately needed? Schemes of federation for the British colonies had been floating around for years. The United States had adopted a federal system of government more than half a century earlier, but this example didn’t inspire confidence since the country had lately been locked in a brutal civil war. For the previous three years, battlefields had been littered with thousands of bloody corpses as the southern Confederacy fought the Union (composed of northern states) over the degree of autonomy it should be allowed, particularly in its treatment of slaves. Nevertheless, Cartier realized a federation might achieve his own long-held goal: to protect the interests of French Canadians. The need for a bold step was growing urgent: with thousands of immigrants from the British Isles, particularly Ireland, moving into unsettled British land, Canadiens were being outnumbered by Upper Canada’s swelling population. Macdonald began as a total skeptic about such a federal system of government but then took a closer look at it when he, in turn, realized that a federation might be the solution to his own challenge: to prevent British North America from becoming an outpost of the United States. His alliance with Macdonald promised a solution to the problem he had wrestled with since the 1837 Patriote rebellion: how to guarantee the preservation of French language and culture within British North America. He anticipated that Montreal, with its booming industrial sector and powerful English-speaking population, would become the centre of the new country. He ignored his critics and marshalled all-important support from the future Quebec for this bold new idea. He knew that the Canadiens could make a federal system work to their advantage if they stuck together. So far, I’ve explored the influences that shaped George-Étienne Cartier’s political career. But there is another side to this man that I’m determined to bring in here, not least because it shows how clever he was at juggling different interests. It is also an irresistible piece of historical gossip, of which there is too little in Canadian history (not because we don’t do scandal, but because Canadian historians—unlike those elsewhere—often regard it as unimportant). Cartier had a complicated private life. Two years before he entered politics, he made a strategic marriage. His bride was a pretty eighteen-year-old named Hortense Fabre, who was the daughter of a successful Montreal publisher, printer, and bookseller. Fabre père had been a fellow rebel in 1837 but now held the powerful position of mayor of Montreal. The wedding at the Sulpician Church of Notre-Dame was a notable social event, and the Quebec newspapers reported that the couple had left for a three-week honeymoon in New York and Washington. The Cartiers would have three daughters: Josephine, Hortense, and Reine-Victoria (who died as an infant). Yet George-Étienne Cartier liked women: he once admitted to the governor general’s sister that he adored “les activités de la coeur.” Women liked his flirtatious manner, and at official balls, he was a popular dance partner. In the early 1860s he embarked on a love affair with Luce Cuvillier, the daughter of a Montreal businessman whom Cartier had met through politics. Soon Cartier’s colleagues were uncomfortably aware that the bleu leader had a mistress—and this was no lighthearted fling. Luce Cuvillier was a spirited, intelligent woman with little time for bourgeois convention. Yet the affair never grew from a topic of gossip to a public scandal. Newspapers of the day got more excited by partisan invective than by personal peccadilloes. For nineteenth-century Canadians, let alone Roman Catholic Montrealers, divorce was impossible, sanctioned by neither church nor state. But George-Étienne Cartier’s double life reflects more than the straitjacket of contemporary mores and religion. It shows how he could juggle competing interests—a skill, subsequent prime ministers would discover, that was crucial to success within Canadian politics. (Think of William Lyon Mackenzie King’s artful compromise on an explosive issue such as conscription in the Second World War.) Just as Cartier combined devotion to francophone interests with loyalty to the British monarchy, so he balanced convention and inclination. Events moved with stunning rapidity after June 1864, once George-Étienne Cartier, John A. Macdonald, and George Brown had formed their Great Coalition and committed themselves to exploring the idea of federalism. A remarkable aspect of this story is that the Fathers of Confederation had few models to follow. The only countries that had established two-level systems, with one central government plus several regional ones, were Switzerland and the United States. British North Americans had watched the American Civil War sap British North America’s fragile economy and spawn fears of American expansionism. In London, the colonial secretary had declared that he was sympathetic to the idea of regional consolidation in Britain’s American colonies—as long as any scheme had the consent of all concerned. (By now, the British government was impatient to withdraw its expensive red-coated battalions from Canada. The Times sniffed, “Our colonies are rather too fond of us, and embrace us, if anything, too closely.”16) Then the Great Coalition leaders heard that the four Maritime provinces were planning a conference to discuss Maritime union. They decided to crash the party, and they sat down in the cabinet offices in Quebec City to draft proposals for a federal constitution. On Monday, August twenty-ninth, in the warmth of a summer’s evening, George-Étienne Cartier made a formal farewell to his wife and daughters and joined Macdonald, Brown, Galt, Hector Langevin, and William McDougall on board the Queen Victoria, a Canadian government steamer. As the ship weighed anchor and proceeded downstream, the gaggle of politicians watched the silver steeples, curved roofs, and well-tilled land of the Île d’Orléans slip by. By dawn on Thursday, the Queen Victoria had traversed the Gulf of St. Lawrence, and the red ochre bluffs of Prince Edward Island were in sight. The following day, in the island’s legislative building, George-Étienne Cartier rose to present the case for a federal union. Cartier’s arguments overwhelmed his deficiencies as a speaker. He explained to Maritimers that he supported the federal system because it split the united Province of Canada into two, returning its two original components, Upper and Lower Canada, to their pre-1841 state. This meant that French Canadians could preserve their nationality because they would have their own provincial legislature. The canny Maritimers listened carefully and realized that this system would suit them fine, because each of the other British North American colonies would also get its own legislature, under the federal umbrella. Maritimers had made it plain that they would resist any attempt to absorb their small colonies into a unified Canadian state; in fact, they weren’t even prepared to join together into a Maritime union. (To this day, the idea is unacceptable.) But Cartier’s proposal was a solution that would work for them too, because it would preserve their provincial autonomy. The details would be hammered out in Quebec City a month later. Macdonald, the skilful manager of discussion, took the lead here, allegedly drafting fifty of the seventy-two resolutions that would become clauses in the British North America Act. George Brown, an impulsive fountain of ideas, kept interrupting, then retreating. Cartier stayed silent, knowing that he controlled enough votes to ensure that his agenda was never derailed.18 Macdonald was keen on establishing a strong central government and giving very limited powers to the provinces. However, Cartier would not let his colleague dilute federal principles or the status of the French language. He successfully ensured provisions guaranteeing the official use of French in Parliament, the federal courts, and the courts and legislature of Quebec, as well as the continuance of Quebec’s Civil Code.19 He also ensured important constitutional guarantees to Quebec’s English-speaking minority for schooling and political representation. In 1867, the British North America Act sailed through the Westminster Parliament, and the Canadian Confederation became a legal entity. What an incredible juggling act! Cartier had achieved his goal and ensured that the new country of Canada was a political unit in which different peoples could cohabit and protect their own culture. In time, this would become a template for federalism beyond Canadian borders—a political system in which political and ethnic nationalisms could coexist without necessarily overlapping. Other British colonies, such as Australia and South Africa, drew lessons from the Canadian experience as they moved towards independence. But in the end, Confederation stuck . . . and grew. In retrospect, it seems solid from the start. Yet for all the biblical magnificence of its name, the new Dominion of Canada would be unrecognizable to twenty-first-century Canadians. First, it occupied only a third of present-day Canada: it reached from the Atlantic Ocean to just beyond the Great Lakes. Newfoundland had opted to remain an independent British colony. Most of the vast area between the border of Ontario and the Pacific Ocean, home to thousands of peoples from various Indigenous groups, was an uncharted wilderness that belonged to the Hudson’s Bay Company, which made the HBC about the largest landowner in the world. Beyond the HBC’s string of fur forts across its territory, and perched on the edge of the Pacific Ocean, was the British colony of British Columbia, which wasn’t even invited to send representatives to Charlottetown. The only way to reach the distant British colony was to travel, by rail and wagon, through the United States. Next, the new Dominion had only a tenth the population of our country today: the combined population of Quebec, Ontario, Nova Scotia, New Brunswick, and Prince Edward Island was three and a half million. Most people were dirt poor. Ottawa, the federal capital, already had its splendid Gothic Parliament Buildings, but they looked wildly out of place. They towered above a boisterous and smelly lumber town of 20,000 inhabitants who complained incessantly about the bitter winter cold and the suffocating summer humidity. The rest of the Dominion’s cities—Halifax, Saint John, Quebec City, Montreal, Kingston, and Toronto—had poor drainage, few amenities, and only a handful of buildings of any style. Even the largest (Montreal, with 115,000 residents) was swept regularly by smallpox and typhoid epidemics. The only type of facility of which there was a surfeit was taverns—lined with spittoons and serving rotgut liquor and home-brewed beer. Most of us cannot imagine a world with no automobiles, telephones, electric devices—let alone airplanes, computers, Internet. So by our standards, the Canada of 1867 was a stark, silent, and lonely country. The wail of steam engines was starting to be heard in more populated areas in Canada, and entrepreneurs were eagerly stringing the first telegraph wires between buildings, but travel and long-distance communication were difficult. Most of the Dominion’s residents preferred to stay put rather than travel by wagon or carriage over primitive, unlit roads (unpaved in the countryside, cobblestoned in cities) to other provinces. Canadians remained strangers to each other. Who were their neighbours in this vast new land? Over a hundred thousand of the residents of the northern half of North America were invisible to the Canadians enumerated in the 1861 census. As immigrants continued to arrive and settle in populated areas or push westward into the prairies, Indigenous peoples including Anishinaabe, Haudenosaunee, and dozens of other groups found themselves squeezed to the margins, while northerners like Inuit and Innu were ignored altogether. The Fathers of Confederation had made no provision for them, except to identify “Indians” as a subject of federal, not provincial, jurisdiction. Only the Royal Proclamation of 1763 afforded them some protection, in its declaration that Indians should not “be molested or disturbed” on their historic hunting grounds. Those Canadians enumerated in the census—immigrants themselves, or descendants of European immigrants to North America over the previous three centuries—lived narrow, hardscrabble, and often illiterate lives. Four out of five of them were settled on isolated farms and in villages, usually in dirt-floored one-room shacks. The men spent long days planting, harvesting, fishing, or working in the lumber industry; the women worked equally long hours, raising and feeding families and looking after hens, pigs, and vegetable gardens. Winter was a time of hibernation: flour mills and lumber mills shut down when the freeze-up started. Prosperous farmers might enjoy visiting each other, sleigh bells jangling as they sped over smooth ice roads to feasts of carefully preserved pork, fruits, and vegetables. For the less successful, winter could be a killing time. In January 1872, the Montreal Gazette reported two children frozen to death in a wretched slum one bitterly cold night.24 Religion was central to most people’s lives, and churches (Roman Catholic or Protestant) were usually the focus of community activities. Nevertheless, the new Dominion was on the cusp of change. Soon education would be made compulsory in most provinces, and public health programs would reduce the incidence of diseases like typhoid, smallpox, and diphtheria. Rapid industrialization would fuel the growth of cities and incomes (though the economy grew in fits and starts, and a major depression hit North America in the 1880s and 1890s). But there would be no sense of shared identity until the following century: British North Americans clung to their self-images as Islanders, Nova Scotians, New Brunswickers, Canadiens, or Upper Canadians. In 1867 the Maritime provinces were separated from Quebec and Ontario by forested wilderness: there were no road or direct rail links. Only the St. Lawrence River gave a direct connection; when most of that mighty waterway was frozen during the winter months, Maritimers could reach central Canada only by travelling through Maine. Since most residents of the eastern seaboard boasted deeper roots in North America than Ontarians, they regarded English speakers in central Canada with chilly skepticism. Meanwhile, Newfoundland turned its back on the new Dominion and continued as a self-governing British colony, with its own House of Assembly. In 1907 it proudly acquired new powers as the Dominion of Newfoundland and claimed equal status with the Dominion of Canada. The truth was that the central government was almost irrelevant to most people’s lives. Citizens expected little from the new federal government in Ottawa: municipalities provided most policing; provincial governments administered most laws; people looked to churches and service clubs for charity. There was only one national symbol in the Dominion, and that was a symbol that resided elsewhere. In parlours across Canada, you would likely find a picture of Queen Victoria—dumpy, unsmiling, but a crucial part of Canadian federalism. Loyalty to the distant monarchy was a defining difference between Canadians and Americans. What could knit together this sprawling transcontinental country? After John A. Macdonald’s skilful leadership through constitutional negotiations in Charlottetown, Quebec City, and London, he was the Crown’s inevitable choice to form the new nation’s first government. Macdonald’s closest ally, George-Étienne Cartier, became Canada’s first minister of militia and defence. However, Cartier held on to the chairmanship of the all-powerful Railway Committee. Since his earliest years as a Montreal lawyer, Cartier had understood that economic growth was possible only if markets were linked together by railways; now he set to work to build the railways that would glue the whole Dominion together. He had remained in London after the British North America Act received royal assent in order to arrange financing for the Intercolonial Railway. With the British North America Act firmly secured, the Montreal lawyer threw himself into the nation-building project with a vigour at least as forceful as his boss’s. Like Macdonald, Cartier recognized that if Canada was to survive, it had to stretch beyond its present boundaries, to cross the prairies and the Rocky Mountains until it occupied an unbroken line from Atlantic to Pacific. And the former rebel also knew that only the survival of the fledgling nation would guarantee the sure survival of the French-Canadian people; otherwise, both French and English Canadians would tumble into the North American melting pot. Control of the West was the first challenge, particularly in the face of American expansionism. With the end of the Civil War in 1865, politicians in Washington looked north with barely concealed greed. The admission of Nebraska as the thirty-seventh state in the Union in 1867 was immediately followed by the American purchase of Alaska from the Russians. This put the squeeze on the vast lands in the North and West of North America—more than a quarter of the continent—that had been granted to the Hudson’s Bay Company two centuries earlier. The only problem was that nobody had consulted the inhabitants of this vast acquisition. The Canadian government made a clumsy attempt to occupy the new western territories and quickly ran up against armed resistance from the French-speaking Métis of Red River, offspring of European voyageurs and Indigenous people. Their leader was twenty-four-year-old Louis Riel, a tall, curly-haired, charismatic man. Like Cartier, Riel had been educated by the Sulpician Fathers in Montreal, and he hero-worshipped the leader of the Quebec bleus. There is no evidence that Cartier and this intense young warrior ever met. Nevertheless, Cartier certainly sympathized with Riel’s complaints on behalf of the Métis people: that their territory was being overrun by English-speaking Upper Canadians, that their farms were being surveyed and broken up for the new settlers, that their rights and Catholic religion were not being respected. Louis Riel, educated, like Cartier, by the Sulpician Fathers in Montreal, fought to protect Métis rights and land. Thanks to Cartier’s intervention, a settlement was negotiated that created the new territory of Manitoba, in which the Métis were guaranteed land, the rights of both English and French were recognized, and a political and administrative system analogous to that of Quebec was put in place. The settlement allowed Cartier to tick off two of his concerns: it secured a Canadian presence on the Red River, and it offered a congenial new area of settlement for Quebecers. But it left one dangerous, dangling thread: the fate of Louis Riel himself. During the Riel-led uprising of 1869–70, an obstreperous surveyor from Ontario named Thomas Scott had been involved in clashes between Métis and Canadian militia. Scott was captured by the Métis, and after a travesty of a trial, Louis Riel authorized his execution. Protestant Ontario rose up in rage against the Métis leader, demanding his arrest for murder. Cartier knew that such an arrest, followed by a trial, had the potential to inflame a vicious English-French, Protestant-Catholic battle, and he quietly arranged for the tempestuous young leader to go into exile. Memories of his own rebellious youth must have resonated with the silver-haired statesman. For the rest of his life, he pressed the British government to grant an amnesty to Riel, as he himself had been unofficially pardoned after the 1837 Patriote rebellion. There was still one more leap to be taken in the Canadian march westward: the giant step over the Rocky Mountains. Here again, Cartier was the man who made it happen. In June 1870 a delegation from New Westminster, capital of the tiny colony of British Columbia, came to Ottawa for a meeting in the Privy Council chambers. There they found Sir George-Étienne Cartier, “in his shirtsleeves, hard at work”; he gave them a warm welcome and pressed glasses of sherry on the three delegates.28 The delegation told the acting prime minister that the three-year-old federal government was welcome to extend its control right across the continent. However, there were conditions. Ottawa must assume the colony’s crippling debt of over $1 million, undertake a public works program, build a carriage road, and begin construction of a transcontinental railway. This was quite a package of demands. But to the delegates’ amazement, they got all they asked for and more: Cartier urged them to ask for a railway to be begun in two years and completed in ten. The British Columbians were astonished by Ottawa’s pledge to lay the 4,345-kilometre line in so short a time. Macdonald, recuperating from ill health in faraway Prince Edward Island, might have given a similar welcome to the delegation, but it was Cartier, with his deep commitment to the country’s steel spine, who made the extravagant offer. The British Columbia deal was Cartier’s finest hour. From then on, his luck began to run out. Ill health and tangled railway politics would sap both his energies and his reputation. Cartier had relied on Sir Hugh Allan, the flamboyant and ruthless shipping magnate who was an old friend from his days as a successful Montreal lawyer, to organize and head the Canadian Pacific Railway Company. Allan could expect to make millions of dollars from the CPR contract, but he was also expected to show his gratitude. During the 1872 elections it emerged that, in expectation of receiving the CPR contract, Allan had funnelled large sums into Conservative Party funds. Cartier had been the conduit: he himself had received $85,000. For the first time in his life, he suffered the humiliation of defeat in his Montreal East constituency. Within weeks he sailed for England (ironically, on one of Sir Hugh Allan’s steamers) to get treatment for a chronic kidney condition that had been bothering him for some months. Between 1881 and 1884, about 15,000 Chinese labourers were brought to Canada to work on the Canadian Pacific Railway. They were paid half the regular wages—and given the most dangerous jobs—but the railway was finished on time. Cartier left Sir John A. to deal with the outrage that the patronage deals and slippery electoral financing triggered. The uproar caused Sir John A.’s defeat at the polls and kept him out of power for five years. But in the end, Cartier would shoulder much of the blame for the Pacific Scandal, allowing Macdonald to emerge tarnished but vigorous. In 1878 the Kingston lawyer was back in office, ready to continue the weighty task of making the Dominion of Canada a national as well as a constitutional reality. As a biographer, I am always sad to say goodbye to my subjects. I try not to be an advocate so much as a mediator between their times and ours, but I have found it hard not to morph into George-Étienne Cartier’s champion. He himself watched his role in the creation myth of Canada being belittled when he was not awarded a knighthood at Confederation. Over the years, Cartier’s significance has faded while Macdonald’s importance has been hammered into the boilerplate of Canadian history. Moreover, I have to admit that John A. Macdonald was the more attractive personality, and his charisma resonates down the years. Without Macdonald’s exceptional negotiating skills, plus that easy charm, the path to Confederation would have been rockier. Unlike his co-premier, Cartier lacked that quality that was as important in politics 150 years ago as it is today: likeability. Macdonald sheathed his ruthlessness; Cartier was brutally tough. He held many views that are anathema today: he opposed frequent elections, the secret ballot, and universal suffrage, and he would have been appalled at proposals to give the vote to either women or Indigenous Canadians. Macdonald was never able to find another Canadien partner with whom he could work in such equilibrium and mutual trust, and Canada was the poorer for it. Cartier left many what-ifs behind him. If he had remained in charge of railway policy, would there have been more control over the proliferation of small, money-losing lines that sapped shaky local economies? If he had been alive in 1885, would he have saved Louis Riel from the gallows and prevented the profound alienation of French Canadians from the Conservative Party? If he had been at Macdonald’s side throughout the 1870s and 1880s, would his fellow Quebecers have felt more confident that their voices counted within the federal government? Hard to know. But George-Étienne Cartier confirmed Quebec’s role at the heart of Confederation and guaranteed the survival of its laws, language, and customs. “Je me souviens” on Quebec licence plates has many implications, but without Cartier there might have been nothing to remember. And for succeeding generations, Cartier’s vision of Canada as a country whose citizens share a secular identity that transcends but does not crush religious and ethnic identities would have an even more powerful impact. It has become a key element within the pluralist Canada of today. While I was in my twenties I spent a year teaching in a high school in England; it was the hardest job I’ve ever done. So first, I want to thank you for doing one of the most important and challenging jobs in our society. And I particularly want to thank you for introducing your students to Canadian history, as they embark on their own futures, because it will help them understand how our past is what makes this country unique. When I sat down to write The Promise of Canada, I knew I wanted to engage my readers in the personalities and dramas of the past 150 years. Most of us find it much easier to learn about ideas and values through the stories of the individuals that promoted them. Most of us enjoy history more if we are given the tools to understand what it was like back then—back when women didn’t have the vote, or back when Indigenous children were dragged off to residential schools, or back when Quebecers felt so excluded that some of them wanted their own independent country. I wanted my readers to feel the texture of history—the sounds, sights and smells of our predecessors’ lives. 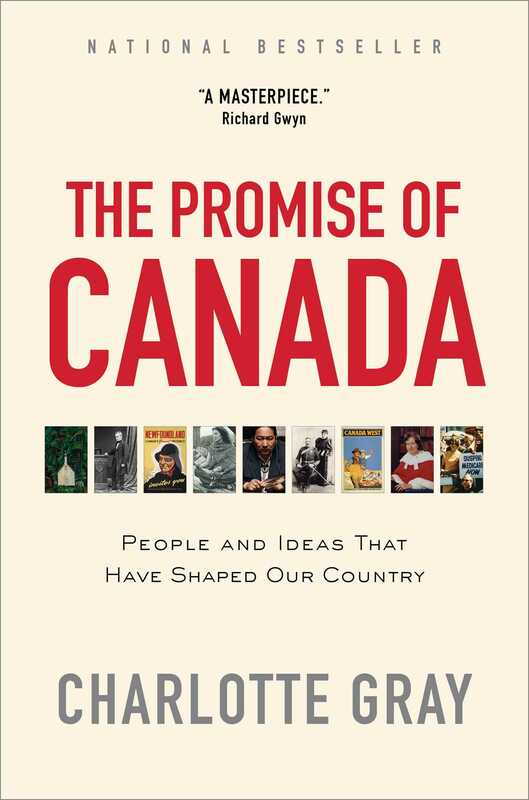 If your students have looked at my book, I hope they will begin to understand how the past is not dead: it has shaped the Canada we live in today. I hope they will be excited to meet vivid personalities who, in their own day, contributed to a country that has never stopped evolving. This Teaching Resource is intended to amplify my words, so that you and your students can get to know better the individuals I wrote about. Through debates, games, interviews and other strategies, you can make history an interactive experience. The past will come alive. Thanks again for your valuable work, and good luck! Class debate: In your opinion, who was the real Father of Confederation, and why? Questions for the class: What impact has the legacy of Samuel Steele had in this region, and why? What are some other Canadian historical figures who have forts, communities, festivals, attractions, or events bearing their name? Questions for the class: How does Carr use words to paint a story? What writing techniques does she use to give her stories a pulse? From these stories, come up with five tips to improve your non-fiction writing. Harold Innis wrote The Fur Trade in Canada: An Introduction to Canadian Economic History. The full text can be found here: www.ourroots.ca/toc.aspx?id=9135&qryID=ef69dd96-64ab-4d49-8774-15563e46caa4. Activity: The introduction is titled “The Beaver.” Create a trivia game (or a quiz show) about beavers based on this chapter. In 2004, CBC held a cross-Canada competition to select “The Greatest Canadian.” The result? Tommy Douglas was voted as “The Greatest Canadian.” From CBC’s archives, here is the announcement http://www.cbc.ca/player/play/1402807530. Questions for the class: Why do you think Canadians bestowed this honour on Douglas? Based on what you now know about Douglas, what things strike you about this man as being unique? If the CBC were looking to start another contest, whom would you nominate today to be “The Greatest Canadian,” and why? Margaret Atwood is a serious writer. But she’s not always serious; her dry wit is legendary. Atwood’s home page is full of factual information, useful advice, and humorous inserts. Activity: If you had a chance to interview Atwood, what three questions would you ask her, and why? Activity: Create a class presentation about The Wilson Moot, including an interview with the Director, the Administrator, or the Coordinator of the organization. Questions for the class: In your opinion, what is the significance of the eagle feather? Is there an elder in your region with whom you could talk about this? If so, do so and make notes to share with your classmates. Questions for the class: Has reading about Elijah Harper enlarged your field of vision? If so, how so? If not, why not? Chapter 9. What Does the West Want? Preston Manning is still very active and continues to write frequent commentaries on current issues, for example: “Getting to the roots of populist uprisings” www.manningcentre.ca/column/getting-to-the-roots-of-populist-uprisings and “Canada’s elites could use a crash course in populism” www.manningcentre.ca/column/canadas-elites-could-use-a-crash-course-in-populism. Activity: Write a 300-word commentary in response to one of these articles. In this section Gray rounds up an eclectic collection of Canadians: artist and writer Douglas Coupland, musician and host of q Shadrach Kabango, Prime Minister Justin Trudeau, journalist Lise Bissonnette, business innovator Annette Verschuren, and the mayor of Calgary, Naheed Nenshi, and she ends the chapter with her own musings as an immigrant. Questions for the class: What do you think Coupland means by his statement? What do you think Gray means by hers? Activity: What is your definition of being Canadian? Define your understanding by writing a short essay, poem, song, or creating a poster illustrating what it means to be Canadian. Activity: Interview three people, asking them what they think it means to be Canadian. Present your findings to your class. Sir George-Étienne Cartier, biography from Library and Archives Canada. Cartier, Sir George-Étienne, “People,” Library and Archives Canada. www.collectionscanada.gc.ca/confederation/023001-4000.12-e.html. An extensive archive that documents the life and career of Samuel Benfield Steele 1870-1978. Bruce Peel Special Collections & Archives, “Sir Stanley Benfield Steele Family Archive,” University of Alberta. https://bpsc.library.ualberta.ca/collections/sir-samuel-benfield-steele-family-archive. Gutenberg.org provides over 54,000 free eBooks including many of Emily Carr’s, such as, “Beginnings,” The Book of Small. Carr, Emily. “Beginnings,” The Book of Small. (1942). Project Gutenberg. 2004. http://gutenberg.net.au/ebooks04/0400201.txt. Harold Innis, biographical material from Collections Canada. Innis, Harold Adams, “People,” Library and Archives Canada. www.collectionscanada.gc.ca/innis-mcluhan/030003-1000-e.html. A condensed biography about Tommy Douglas. CBC Learning: Canada, A people’s history. Fighting from the homefront. Tommy Douglas. 2001. www.cbc.ca/history/EPISCONTENTSE1EP14CH3PA5LE.html. Background information on CBC’s Competition “The Greatest Canadian.” “The Greatest Canadian.” Wikimedia Foundation. Modified March 26, 2017. https://en.wikipedia.org/wiki/The_Greatest_Canadian. An insightful interview with Margaret Atwood. Morris, Mary interviews Margaret Atwood, “The Art of Fiction No. 121.” The Paris Review, Issue 117, Winter 1990. www.theparisreview.org/interviews/2262/margaret-atwood-the-art-of-fiction-no-121-margaret-atwood. Margaret Atwood on George Stroumboulopoulos Tonight. Stroumboulopoulos, George interviews Margaret Atwood. George Stroumboulopoulos Tonight. September 27, 2013. www.youtube.com/watch?v=fqahhKuoeT4. A thoughtful profile written by Sandra Martin in the Globe and Mail two days after the death of Bertha Wilson. Martin, Sandra. “Bertha Wilson 83.” Globe and Mail. April 30, 2007. www.theglobeandmail.com/news/national/bertha-wilson-83/article1075258/?page=all. “Justice In Her Own Right: Bertha Wilson and the Charter of Canadian Rights and Freedoms,” Supreme Court Law Review (2008). Cameron, Jamie, ed. Reflections on the Legacy of Justice Bertha Wilson. Toronto: LexisNexis Canada 2008. Reprinted with the permission of the S.C. L. R. http://sns-production-uploads.s3.amazonaws.com/assets_ca/Reflections%20on%20the%20Legacy%20of%20Justice%20Bertha%20Wilson.pdf. Inspired by Elijah Harper, librarian Monique Woroniak makes changes. CBC Radio. Unreserved. August 28, 2016. www.cbc.ca/radio/unreserved/building-an-ally-non-indigenous-people-share-their-stories-of-bridge-building-1.3430628/elijah-harper-inspired-winnipeg-librarian-to-make-change-1.3432256. Reminiscence by former Manitoba Grand Chief Phil Fontaine, twenty-five years after Elijah Harper said no to Meech Lake Accord. CBC Radio News, Manitoba. “Retired indigenous leader Phil Fontaine remembers a powerful moment for First Nations.” 2015. An interview with Preston Manning with John Geddes, for Maclean’s. Geddes, John. “Q&A: Preston Manning on Canadian populism in the age of Trump,” Maclean’s, February 24, 2017. Generation A: Ten questions for Douglas Coupland. The author of Generation A answers ten questions ranging from if he would miss bees if they disappeared to if Generation A is a sequel. Simon & Schuster Books. December 3, 2009. Shadrach Kabango moves on to new career. Friend, David. “Shad gets back to music after ouster from CBC’s q.” The Star online. August 31, 2016. Liberal Party of Canada. 2017. Authorized by the Liberal Agency of Canada. Le Devoir. November 19, 2016. Leung, Iris. “Annette Verschuren.” Historica Canada. September 13, 2016. Meet Naheed Nenshi, Mayor of Calgary. Re-elect Naheed Nenshi for Mayor Campaign. 2017. 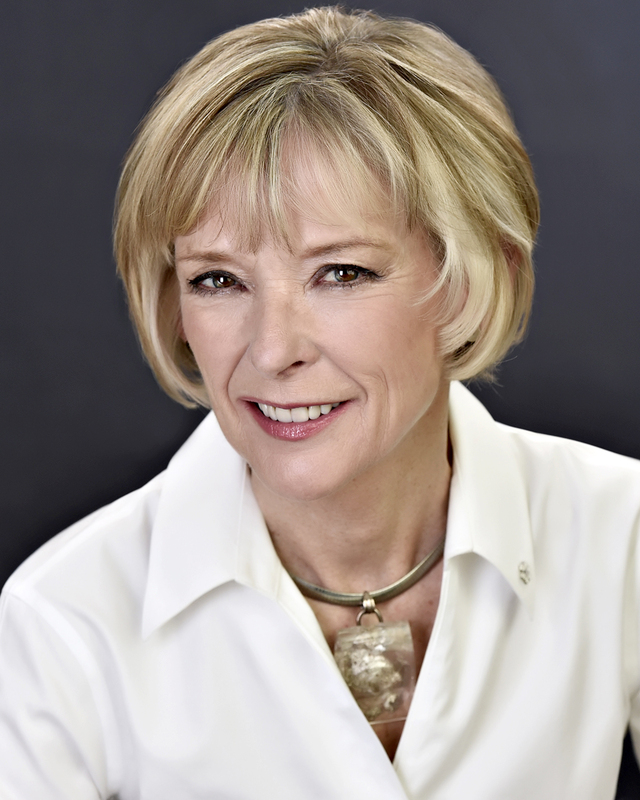 Charlotte Gray, one of Canada’s pre-eminent biographers and historians, has won many awards for her work, including the prestigious Pierre Berton Award for a body of historical writing, the Edna Staebler Award for Creative Non-Fiction, the Ottawa Book Award, the Toronto Book Award, and the CAA Birks Family Foundation Award for Biography. Over nine superb biographies, from Mrs. King and Sisters in the Wilderness to The Massey Murder, and masterful books such as The Museum Called Canada and Canada: A Portrait in Letters, she has brought our past to vivid life. Gray is a Member of the Order of Canada and was a panelist on the 2013 edition of CBC Radio’s Canada Reads. She lives in Ottawa. "This book is a masterpiece. It tells us more about ourselves and our country than any comparable work I know of, accomplishing this by style and wit and unconstrained intelligence all made credible by abundant detail. [...] This is an inexhaustibly interesting book about an inexhaustibly interesting country." "Once again, Charlotte Gray helps us better understand who we are as an evolving nation—a country for all that will thrive well beyond the next 150 years." "Amazing! In weaving her own fascinating story throughout deft and telling profiles of critical Canadians over the past 150 years, Charlotte Gray has succeeded in giving us a remarkable “biography” of her adopted country. She now joins the likes of Pierre Berton, Peter C. Newman and Bruce Hutchison as guardians of the national mirror. A marvelous read." "I've had a literary crush on Charlotte Gray for years. She's smart, funny, insightful. . . . This fascinating collection of biograpy as history takes us from West Coast art to strong-jawed Mounties, from Margaret Atwood to Preston Manning, with equal aplomb. Wonderful!"